Sarah Nader- snader@shawmedia.com Cary-Grove's Jason Gregoire shoots during the third quarter of Saturday's game against South Elgin at the Hinkle Holiday Classic at Jacobs in Algonquin December 28, 2013. Cary-Grove was defeated in overtime, 83-80. Sarah Nader- snader@shawmedia.com Cary-Grove's Devin McDonough brings the ball down court during the fourth quarter of Saturday's game against South Elgin at the Hinkle Holiday Classic at Jacobs in Algonquin December 28, 2013. 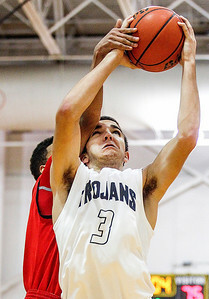 Cary-Grove was defeated in overtime, 83-80. Sarah Nader- snader@shawmedia.com Cary-Grove's Tyler Szydlo is fouled on during the fourth quarter of Saturday's game against South Elgin at the Hinkle Holiday Classic at Jacobs in Algonquin December 28, 2013. Cary-Grove was defeated in overtime, 83-80. Sarah Nader- snader@shawmedia.com Larkin's Keyvon Kyles (left) guards Jacobs' Chris Orange while he shoots during the second quarter of Saturday's game at the Hinkle Holiday Classic at Jacobs in Algonquin December 28, 2013. 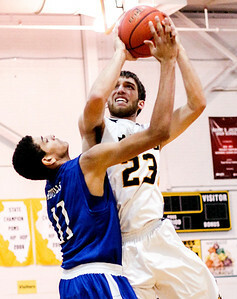 Jacobs was defeated, 47-56. Sarah Nader- snader@shawmedia.com Larkin's Christian Negron (left) guards Jacobs' Ben Murray while he shoots during the second quarter of Saturday's game at the Hinkle Holiday Classic at Jacobs in Algonquin December 28, 2013. 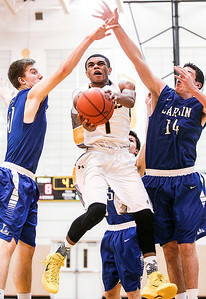 Jacobs was defeated, 47-56. Sarah Nader- snader@shawmedia.com Jacobs' Kenton Mack (center) shoots during the second quarter of Saturday's game at the Hinkle Holiday Classic at Jacobs in Algonquin December 28, 2013. 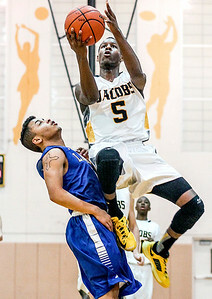 Jacobs was defeated, 47-56. 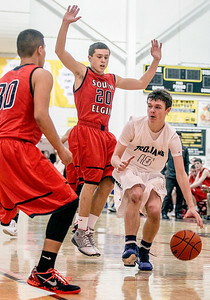 Cary-Grove's Devin McDonough brings the ball down court during the fourth quarter of Saturday's game against South Elgin at the Hinkle Holiday Classic at Jacobs in Algonquin December 28, 2013. 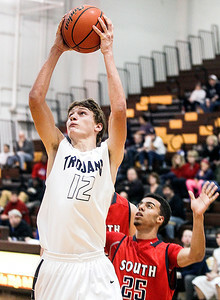 Cary-Grove was defeated in overtime, 83-80.